Online CoursesOnline Courses on various topics and technologies. AtmelThe popular, tiny and low-cost 8-bit AVR microcontrollers from Atmel. 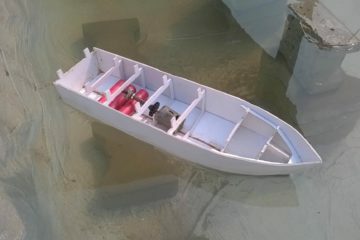 How to make an RC Boat with Brushed DC Motor? Face Recognition based Door Lock using Raspberry Pi B+ OpenCV How to make a Face Recognition based Door Lock using Raspberry Pi and OpenCV. This uses Principal component analysis (PCA) and Eigenfaces. DIY CNC Router Machine with Laser Engraver | 2 In 1 How to make a DIY CNC Router using Arduino UNO and TB6600 Stepper Driver that has both a Spindle / Router and Laser Module to Engrave / Cut. Three Phase Rectifier for using a BLDC ESC as a Brushed Motor ESC How to convert a ( Brushless ) BLDC Motor ESC to Brushed Motor ESC to run a DC Motor using a Three Phase Rectifier. IOT Smart Dustbin using Arduino Nano and ESP8266 Arduino and ESP8266 based Smart Dustbin that measures the quantity of garbage and updates it on the server so that garbage collection is optimised. PCB Business Card for Electrical / Electronics Engineer Learn how to design your own PCB Business Card using Autodesk Eagle and get it manufactured in a PCB Industry. Learn Gerber file creation. The 4th Delta Advanced Automation Contest 2017, Wujiang plant of Delta Group, China Project documentation of Delta Advanced Automation Contest. My team have participated and won the First prize at the Wujiang plant of Delta Group, China. 🔸 Hi, I am Arnab Kumar Das aka. Crazy Engineer. 🔸 I love making projects related to Embedded Software, Electronics, Remote Control Vehicles, CNC, Mechatronics, DIY Projects, Woodworking and more! 🔸 On this website, you will find Project Blog, Tutorials and DIY Guides. 🔸 If you find any resource useful please share them with others so that they can also get benefited. 🔸 You can use the social media buttons to directly share this webpage. 🔸 Copyright © 2014-2018 Arnab Kumar Das. Some Rights Reserved.